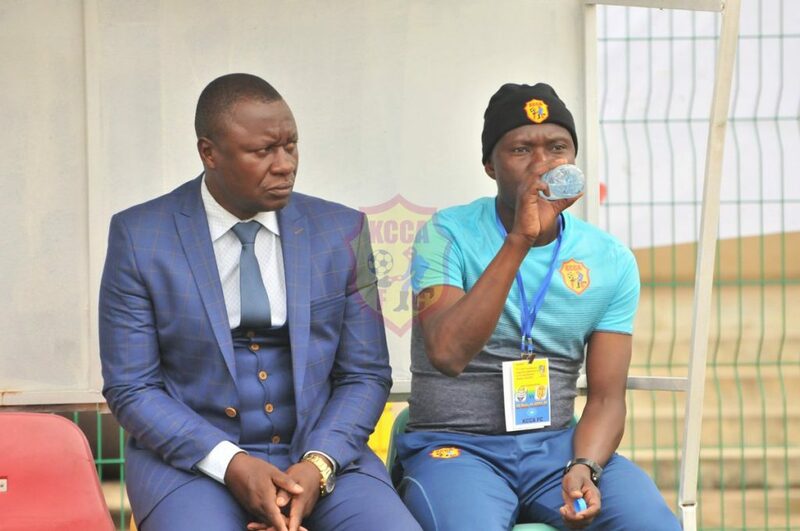 Mike Mutebi (L) and his assistant Morley Byekwaso closely follow proceedings from the sidelines in Congo Brazzaville. KCCA FC Manager Mike Hillary Mutebi has come out to dismiss sentiments that it is over for his team in this year’s CAF Confederation Cup game. KCCA FC lost 3-0 away against Congo’s AS Otoho and have a huge task to overturn a three goal deficit in the 2nd leg to be hosted in 6 days at Star times Stadium. It is not over. AS Otoho were just effective in the final third and we were not. We where never out played at all. The difference is they buried the chances they got and we did not. We did not come to Congo to play a containing game and we head into the second leg with plenty of lessons from this game. We shall have to be more effective in the final third and we will score goals at home. KCCA FC host AS Otoho in the 2nd leg of the 2nd final 1/16th round of this year’s edition of the CAF Confederation Cup on Sunday 20th January at Star times Stadium.